Hudson's Bay is celebrating Labour Day Long Weekend with a great discount code! 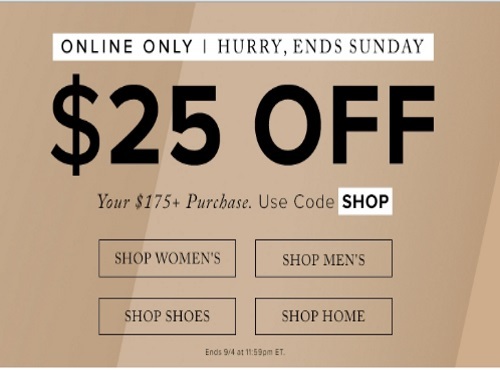 Save $25 off when you spend $175 or more! Enter the promo code SHOP at checkout online. Offer ends September 4 at 11:59pm ET.